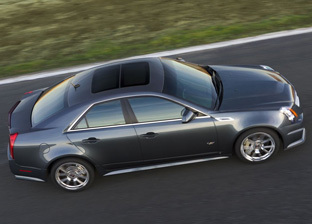 The 2009 Cadillac CTS-V sport sedan, Cadillac's ultimate expression of performance and luxury, is powered by a 556 horsepower supercharged V8 engine which also develops 551 lb-ft of torque. The engine is a modified version of the LS9 V8 found in the Chevrolet Corvette ZR1. 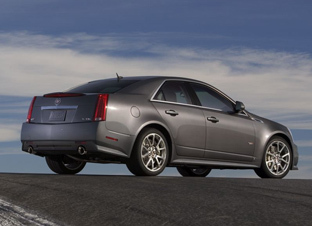 The 2009 CTS-V also includes a comprehensive suite of technical and design enhancements over the previous generation CTS-V, including Magnetic Ride Control, an industry-first Performance Traction Management program and the addition of a new automatic transmission with paddle-shift control. 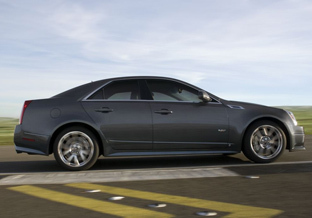 Transmission choices for the 2009 CTS-V include either a six-speed manual or an exclusive, six-speed automatic with steering-wheel-mounted paddle shifters. 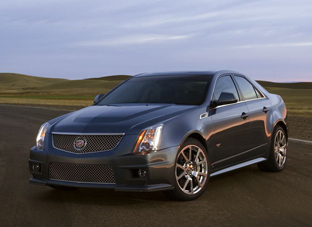 It is the first automatic offered on the CTS-V. 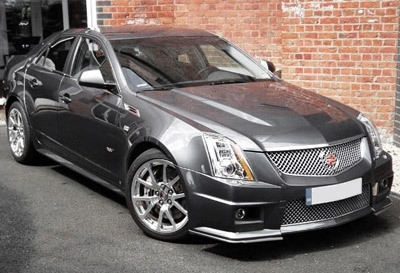 The 2009 Cadillac CTS-V also includes sophisticated braking and tire systems, in partnership with two companies renown for high-performance technology: Brembo and Michelin. Brembo brakes are at all four corners and include powerful, six-piston calipers in the front and four-piston calipers in the rear. Michelin worked with Cadillac engineers to develop its acclaimed Pilot Sport 2 (PS2) summer tire for the CTS-V and its 19-inch wheels. Inside the CTS-V Cadillac have created a decidedly sporting ambiance with Recaro 14-way adjustable sports seats, and a microfibre material offering high levels of grip is added to the steering wheel, seats and shifter to offer better driver control.